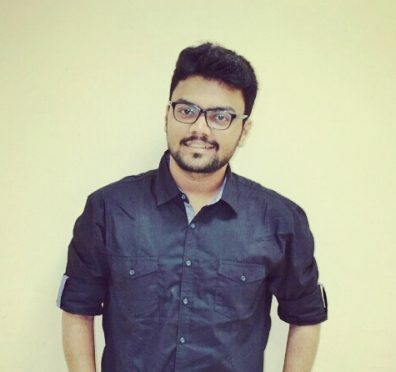 About the Author: Anurag Ganorkar takes us through his successful tenure as a marketing intern at Ebaco India Private Ltd., apart from offering some relevant tips for all the future interns. A. Market study of the current sports infrastructure – The task included conducting a ground survey. Our target clients included educational institutions across India. We understood the current status of sports infrastructure across the country and the future scope of sports development among the target clients. We successfully closed a sports complex construction deal with DPS School, Tapi. B. Competitive analysis of the competitors providing the same product – Here, I studied the strengths and weaknesses of the competitors, suggested ways on improving our product quotations and also worked on our competitor’s weaknesses that could close deals for us. By the end, we successfully closed a deal with BD Somani Educational Trust, Mumbai. C. The impact of Digital Marketing on the Sports Infrastructure Industry – Here, we launched various social media campaigns for our target clients. Facebook, LinkedIn, and email campaigns were launched aiming to spread brand awareness targeting sports academies and sports coaches across India. As a part of the Facebook campaign, we successfully signed a deal with Mr. Chetan Anand, a renowned sports icon, for construction of 4 badminton courts in Hyderabad. D. Collaboration with rubberized and wooden flooring dealers in metro cities – This assignment aimed at extending business relations by collaborating with various local rubberized and wooden flooring dealers in the metro cities. With this collaboration, the company would get its projects outsourced with the help of such dealers and also provide these dealers with company certified rubberized and wooden flooring materials. By the end of my internship, Ebaco had collaborated with close to 15 local dealers in Mumbai and Hyderabad. A tip for all the future interns – As an intern, it is necessary to find innovative ways of performing the tasks assigned to us. The time taken to complete the task does not necessarily matter as much as the quality output delivered. It is very important to perform the tasks in a team which has people from different backgrounds coming together. Also, be open to all the feedback which comes your way. Lastly, rather than focusing on the company brand, I would recommend you to give top priority to the job profile which the company offers, which tests individuals in the corporate field. Editor’s Note – Does marketing run in your blood, too? Check out these awesome digital marketing internships.